Laurence completed his undergraduate training at University of Queensland in 1983 and his PhD in 1987, then undertook postdoctoral studies at the University of Pennsylvania and at Stanford University. He is a board-registered specialist in special needs dentistry, and immediate past president of the ANZ Academy of Special Needs Dentistry. Laurence holds a personal chair in dental science at the University of Queensland, where he is the program leader for research into advanced dental technologies and dental biomaterials. He has published extensively in the biomedical literature, having authored over 300 journal articles. Laurence is an Editorial Board member of 5 international dental journals. Rupert is a specialist prosthodontist. As a Clinical Lecturer and Consultant in Prosthodontics at King’s College London Dental Institute, Rupert is the clinical lead for Digital Dentistry at Guy’s Hospital, integrating Europe’s largest suite of CAD/CAM and 3D imaging technologies into undergraduate and postgraduate curricula. After completing his dental training at Manchester University in 2006, Rupert completed a PhD in enamel erosion in 2011, then a Masters in Clinical Dentistry. He completed his specialist training in prosthodontics in 2015. Rupert’s research focus is enhancing diagnosis and treatment of dental hard tissue pathologies using innovative imaging technologies. This includes expanding the clinical applications of intra-oral digital impression systems to impact prevention, patient experience and effectiveness of oral care. 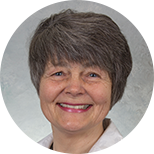 Wenche (“Venke”) is a Senior Research Associate in the Department of Periodontics and Oral Medicine at the University of Michigan School of Dentistry. She completed her dental training and PhD in Copenhagen, and then undertook a Masters of Dental Public Health degree in Michigan. Venke has been a member of the CDC/AAP Working group on Periodontitis Surveillance. She has made major contributions to oral microbiology, and her work has been recognized with awards from the American Academy of Periodontology in 2012, 2013 and 2016. She has published extensively, and her recent publications include THE TRAVELING ORAL MICROBIOME. Her research on the distribution of periodontitis has provided valuable information for population-based action to prevent or manage periodontitis across groups in the population. Lorenzo completed his dental training in 1994 and then undertook a PhD at the University of Bologna in Italy. 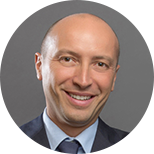 He is now Professor of Restorative Dentistry and Dental Materials at the University of Bologna, where he is also the Head of Conservative Dentistry and Director of the Masters program in Aesthetic Restorative Dentistry. Lorenzo is President of the European Federation of Conservative Dentistry and of the International Academy of Adhesive Dentistry, and serves on leadership positions within the Academy of Dental Materials and DMG-IADR. He has published extensively on aspects of adhesion and restorative materials, and his published research work has been cited worldwide. 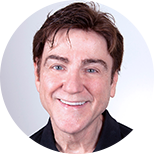 Stephen maintains a private specialist prosthodontic practice with Dr Dennis Tarnow in New York City, with a focus on aesthetic, restorative, and implant dentistry. He completed his dental training at the University of Pennsylvania in 1984 and then his master’s degree in restorative dentistry and certificate in post-graduate Fixed Prosthodontics from the University of Washington in 1986. Stephen subsequently obtained dental technician certification in dental ceramics in 1996 and ASMDT status in 1998 at NYU. He is an Adjunct Clinical Professor in the Department of Prosthodontics at New York University College of Dentistry. Stephen has published widely on aesthetic, restorative, and implant dentistry. He co-authored “The Fundamentals of Color: Shade Matching and Communication in Esthetic Dentistry” (2004) and “Aesthetic Restorative Dentistry: Principles and Practice (2007). 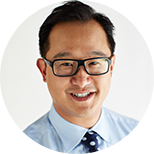 Chee is a specialist prosthodontist in full time private practice in Melbourne. He is also involved with teaching undergraduates and postgraduates at the University of Melbourne. 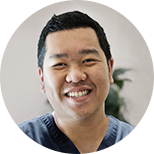 Chee completed his dental training at the University of Otago in 1999, then after working and undertaking postgraduate education in advanced dentistry in the UK returned to New Zealand to complete his specialist training in prosthodontics in 2009. 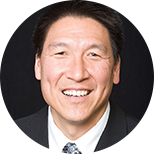 Chee has particular interests in biomaterials and the application of digital dentistry in everyday prosthodontic practice. He has lectured internationally on a range of prosthodontic and implant-related topics. 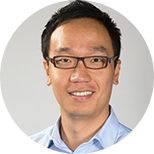 Chee serves as the President of the Australian Prosthodontic Society (VIC), and also serves on committees for the Australian Dental Association and the Academy of Australian and New Zealand Prosthodontists. 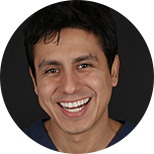 Victor works in private practice, with an emphasis on restorative aesthetic dentistry. He completed his dental training at the Paulista University – UNIP, and then his training in restorative dentistry the Araraquara Dental School, São Paulo State University – UNESP, and in implant dentistry at SENAC University, Sao Paulo, Brazil. Victor’s Masters and PhD research were both in the field of Restorative Dentistry. He teaches the Advanced Program in Implantology and Restorative Dentistry at the ImplantePerio Institute, São Paulo, Brazil. He has published extensively in Portuguese, English and Spanish. Arndt is a specialist in oral surgery. He completed his dental training at the University of Münster in 1994, and then completed oral surgery residencies followed by training in implantology (2000) and in periodontology (2004). 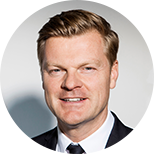 In 1999 he established his own clinical practice in Münster, treating implant, perio, restorative and aesthetic cases. In 2010, Arndt became a research fellow and visiting lecturer at the University of Cologne, and in 2013 became an assistant professor. His clinical interests include anterior aesthetics and all-ceramic restorations, aesthetics in implantology, augmentation surgery, soft tissue management, and microsurgery. 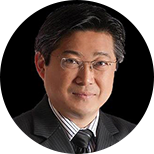 He has published articles and textbook chapters on implant treatment, aesthetics and soft tissue management, and has taught these topics in several postgraduate programs. Paulo has been in private general dental practice in São Paulo, Brazil since 1988, with an emphasis on aesthetics, implantology, and soft tissue rehabilitation. After commencing his career as a dental technician in 1974, Paulo completed dental training, and then a Masters degree in Implantology in São Paulo, Brazil. He serves as Head of the Department of Digital Dentistry for São Leopoldo Mandic University, São Paulo, Brazil, and teaches aesthetic dentistry at the postgraduate level at the Department of Restorative Dentistry – Federal University of Santa Catarina (UFSC), Santa Catarina, Brazil. His publications are in the area of aesthetic dentistry, prosthetic dentistry and the dental laboratory. Paulo is the creator of the SKIN (Cllones) concept, and his book “Challenging Nature” has been edited by Quintessence and translated into 5 languages. 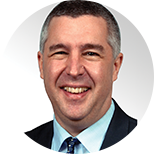 Chris is a specialist prosthodontist in private practice in prosthodontic and implant dentistry in Sydney. After his dental training at the University of Sydney, Chris completed the Graduate Diploma in Clinical Dentistry in Oral Implants at the University of Sydney, followed by a Masters of Clinical Dentistry in Prosthodontics at the University of London, and then specialist training in prosthodontics at the University of Sydney. Chris lectures extensively on aesthetic and implant dentistry, and teaches into the Oral Implant Diploma and Post-graduate Prosthodontic programs at the University of Sydney. He is a Faculty member of the Global Institute for Dental Education, Academy of Dental Excellence and is a visiting lecturer at Kings College London. Chris is the author of numerous publications and is editor of the textbook “Practical Procedures in Aesthetic Dentistry”. 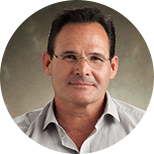 Tomas is a specialist prosthodontist with a particular interest in implant dentistry. 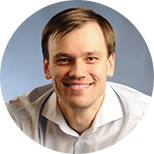 Tomas completed his dental training at Kaunas Medical University in 2000, his specialist training in prosthodontics at Vilnius University in 2004, and then gained his PhD from Riga Stradins University in Latvia in 2009. Tomas now works in specialist practice and at a private dental research facility. He is an Associate Professor at the Institute of Odontology, Vilnius University in Lithuania, and he also serves as a Visiting Professor for Ghent University, Belgium. Tomas has published extensively on soft tissues and cementation of implant restorations. He developed “Zero Bone Loss Protocols” clinical techniques for developing and maintaining crestal bone stability around implants. Tomas lectures internationally and is an active member of the European Academy of Osseointegration, and Academy of Osseointegration. Anthony runs two general dental practices in Sydney. After completing his dental training at the University of Sydney in 2002, Anthony completed the Post Graduate Diploma in Clinical Dentistry (Oral Implants). Anthony has lectured extensively on the topic of direct restorative dentistry. He has particular interests in restorative materials and techniques, and in CAD/CAM digital dentistry. His two practices in metropolitan Sydney focus on quality modern comprehensive care, including implant dentistry. 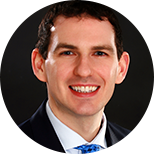 Anthony serves as a clinical consultant for Zfx, a manufacturer of dental CAD/CAM systems. Axel is a specialist periodontist. He is the Head of Periodontics at the Sydney Dental Hospital, and Head of the Discipline of Periodontics at the University of Sydney. In addition to his hospital work, Axel works part time in specialist periodontal practice in Sydney. Prior to coming to Sydney in 2010, Axel was Head of Periodontics at the University of Ulm in Germany. He has broad experience in molecular biology, basic science research, animal research and clinical research. His research interests include periodontal regeneration, bone regeneration, interactions between periodontitis and systemic diseases, antimicrobial therapy, and peri-implant diseases. He is a past President of the Periodontal Research Group of the International Association of Dental Research (IADR). 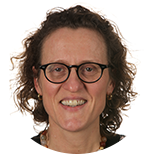 Marleen was born in Belgium, and obtained her degree in Dentistry in 1987 at the Catholic University of Leuven, followed by a 4-year post-graduate program at the Department of Operative Dentistry. She applied herself especially to the clinical use and the performance of anterior and posterior resin composites, bonded ceramic restorations, fibre-reinforced composite restorations and bleaching. Marleen has taken part in numerous clinical studies concerning dentine adhesives, posterior composites, and ceramic veneers/inlays/onlays. In 1997 she obtained the degree of Doctor in Medical Sciences. She is Professor at the Catholic University of Leuven since 2004. She has written several national and international publications concerning the clinical performance of adhesive restorations and bleaching. Douglas maintains a private general dental practice in Houston, Texas emphasizing aesthetic and restorative dentistry. He completed his dental training at the University of Texas Health Science Center in Houston in 1978. Douglas is known internationally for his work in aesthetic dentistry, and he has published extensively in numerous languages. Douglas is an adjunct professor in the Department of Restorative Sciences at the University of Alabama at Birmingham, and Professor Emeritus in the Department of Conservative Dentistry and Endodontics at the V.S. Dental College & Hospital, Rajiv Gandhi University of Health Sciences in Bangalore, India. His recent Quintessence books include Esthetic and Restorative Dentistry: Material Selection and Technique, 2nd Edition (2013), What’s in Your Mouth? / What’s in Your Child’s Mouth? (2013), Smile! Your Guide to Esthetic Dental Treatment (2014), What’s in Your Mouth? Your Guide to a Lifelong Smile (2014), Expressions of the Soul Exposed (Quintessence Publishing, 2015), Restoring with Flowables (2016), and Esthetic and Restorative Dentistry: Material Selection and Technique, 3rd Edition (2018).